Protect your Kindle, iPod, cell phone, laptop, iPad, or other gadgets in style with this collection of 37 Gadget Cases and Kindle Cover Sewing Patterns. Use a kindle cover sewing pattern, make a custom computer case, or design your own iPad covers! Whether you prefer tablets, laptops, or smart phones as your go-to gadgets, you will find a protective cover in this collection of easy sewing patterns. Tote your technological gadgets in style with these free sewing patterns. If your loved one already owns a Kindle, they'll need a Kindle cover! Use a Kindle cover sewing pattern to make a special homemade gift for the avid bookworm in your life. You can embellish it with ribbons and bows, make a Kindle cover that will stand up on its own, or personalize it in another way. When you're using a Kindle cover sewing pattern, the choice is yours! Laptops also need to be protected from scratches and other maladies. Use our free, easy sewing patterns to make cool computer cases for yourself or to give as gifts. Making personalized laptop sleeves guarantees that your computer will fit perfectly in its custom computer case. Here are some easy sewing patterns for cell phone cases and pouches, a chic way to transport your cell phone around town. You'll never forget where you put your phone when you keep it in a stylish, homemade case. Try one of these beginner sewing projects--you're guaranteed to find one that suits your style. What's cooler than an iPod or other mp3 player? A stylish case to keep it in! You can make a case for your music player using an old tie from your dad's stash, or even make an arm band pouch to hold your iPod while you're working out. Use fabrics you love and your iPod can look chic while being protected from breaking. If you use an iPad instead of a Kindle, you won't need a Kindle cover sewing pattern. Instead, try these iPad covers for ease of transportation. You'll never be disconnected from the world when you can transport your iPad without worrying about dropping your beloved technology. Tote it in style with one of these free, easy sewing patterns. I use a Samsung Galaxy Tab S 10.5" tablet. SOOOOO much nicer than an ipad!!! I need a LARGE case, with handles or a shoulder strap! I only gave these things one star because they are for istuff only. I use a Microsoft Surface..does anyone have a cover pattern for that? I like the designs, perfect for gifts. What are the materials need to use for this? I need to make case like this to theme with the kindle case I bought from http://www.kekacase.com/design-your-own/custom-case-for-the-kindle.html. ebmevay 1690894, Your issue with downloading the patterns is either with the host server or your internet provider, not with AllFreeSewing.com. 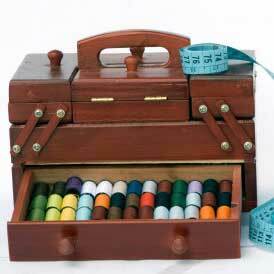 AllFreeSewing merely provides the links, they do not host the actual patterns. As to printing the patterns, yes, you can. Again, the amount of effort required to do that is not an issue with AllFreeSewing.com, but is with the original pattern designer. When the designer does not provide a print friendly page or a PDF (and many do not provide either of these) then the best way to print the patterns is to copy pictures and text and paste them into your word processor. Once the information is in your word processor, you can format the pages to suit you and print them as desired.